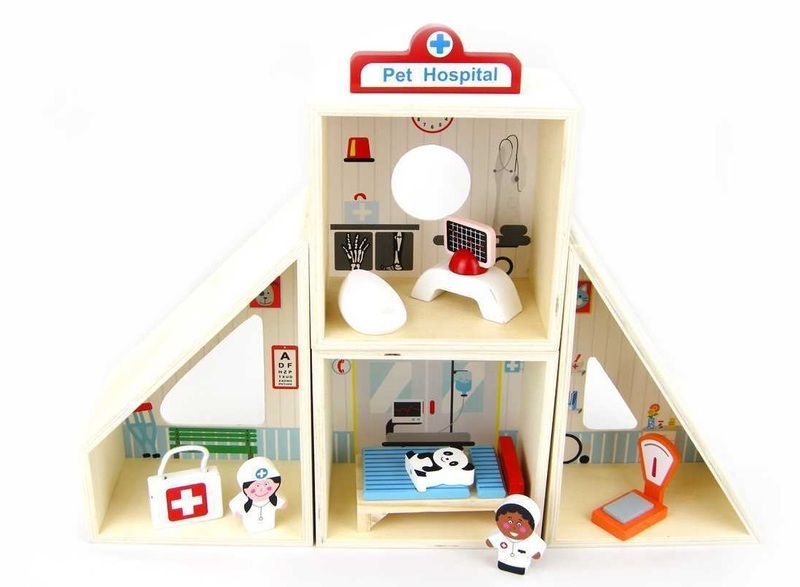 This cute pet hospital playset comes in 4 separate pieces. 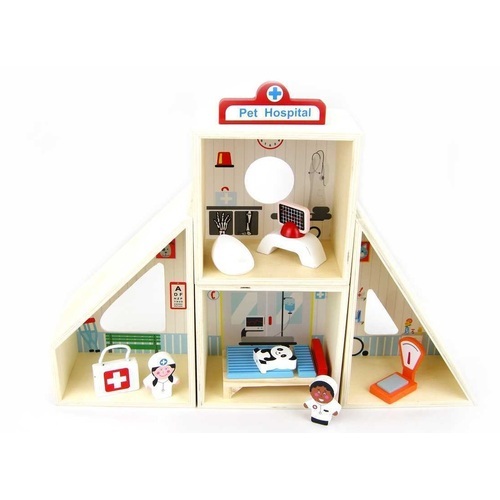 Comes complete with wooden bed, monitors, veterinary assistant , doctor, and everything you need for a veterinary surgery. Play sets encourage role play which help with improving social skills, creativity , problem solving and most importantly fine motor skills. 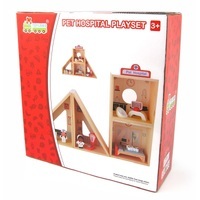 Kids will have hours of fun with this set. What a great way to teach kids how to care for their pets. Easy to assemble.